POLICE say the Rebels criminal motorcycle gang's PR machine might be in overdrive to change public perception but the crime figures speak for themselves. In just one week, Taskforce Maxima has charged 21 people they allege are Rebels gang members on 35 charges in Queensland. From a road stop at Coomera on the Gold Coast to raids at Tewantin, Caloundra and Coolum on the Sunshine Coast, police charged alleged members with drugs, burglary, assault, tainted property, weapons offences and stealing a car. The Coomera road stop allegedly involved 635g of methamphetamines. 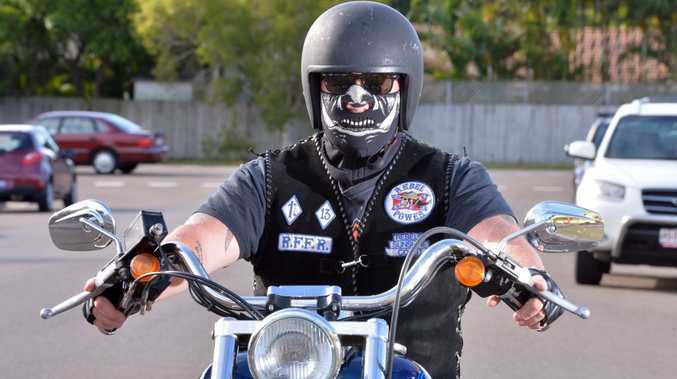 A senior member of the Sunshine Coast Rebels has this week described Premier Campbell Newman as out of touch with Queenslanders, and called for him to stand down over the latest bikie crackdown and tough new penalties mandated in rushed legislation last month. Tony Jardine, a 22-year club veteran, said the Rebels' constitution had strict rules with regard to members and crime. "Nobody from our Sunshine Coast chapter has been jailed for any crime," he said. "If anyone ... uses the club in a criminal activity, they are using the club's name against everyone's wishes, and they're out." Detective Superintendent Mick Niland said the Rebels were on par with the Hells Angels, Bandidos and other criminal motorcycle gangs that were the face of organised crime in Queensland. He said the level of criminality, the drug trafficking, extortion and the Rebels club expansion made them a serious problem. "They are a high risk criminal threat to the Australian community," he said. "They are the largest CMG in Australia, expanding overseas and we consider them a threat." Police said they had affidavits from gang members claiming they were not or that they had resigned from the club from day one to get around the legislation mandating tougher penalties for people proved bikies in our courts. Deputy commissioner Brett Ponting said it was common for criminal motorcycle gangs to consult PR experts and he expected more would follow the Rebels lead. "It's fairly predictable. We've seen the Rebels motorcycle gang do this before, kick PR machinery into gear," he said. "It's in the interests of these organisations to convince the public that they are not criminal gangs. "It's particularly in response to the work Mick and his team have done in the past month. "They'd be getting advice from PR experts on how to shape public perception around this but I think this small snapshot of one week speaks volumes for the Rebels' criminal activity that they are engaged in. "They started in Brisbane 44 years ago and in recent years they have expanded rapidly around the world. "They are a sophisticated criminal network. "Often the leader ships of criminal motorcycle gangs are much harder to prosecute because of the nature of their structure where the nominees and associates often protect the leadership. "So the leadership is less vulnerable to law enforcement." While the focus has been on south-east Queensland, Mr Ponting said there was a large operation in Rockhampton five or six years ago to dismantle the Rebels in that regional city. 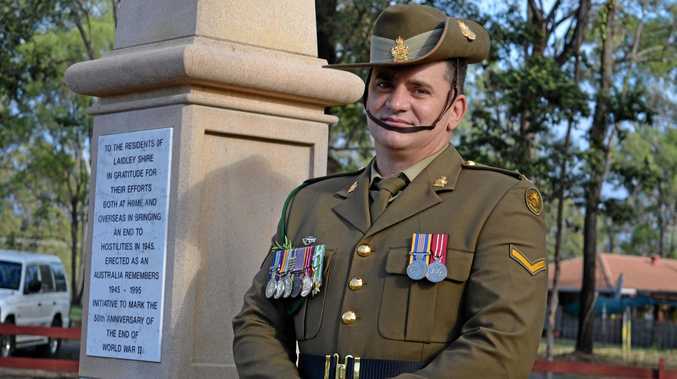 "It just showed how established the Rebels in particular are within regional and rural Queensland," he said.